Final Rate The Last Movie You Watched for 2018! Forums > General Discussion > Final Rate The Last Movie You Watched for 2018! 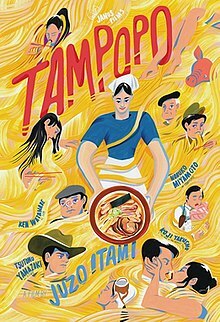 Tampopo (1985) - A truck driver stops at a small family-run noodle shop and decides to help its fledgling business. The story is intertwined with various vignettes about the relationship of love and food. 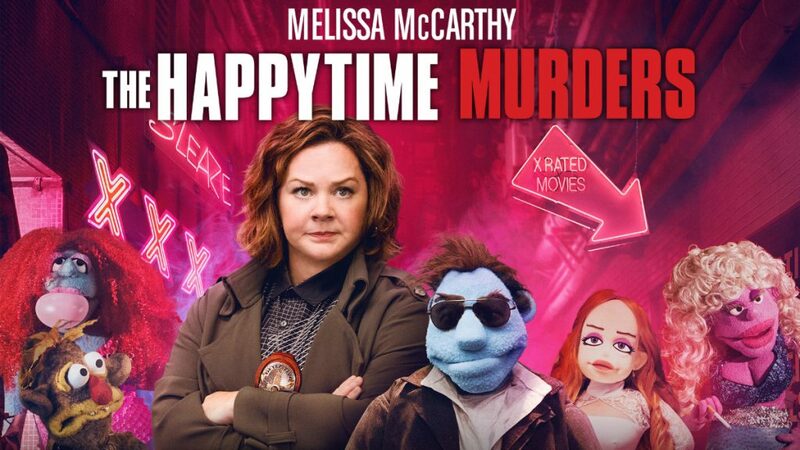 The Happytime Murders. 5/5. It is so weird. This movie made me lose my faith n Spielberg. Really bad in every single way. Ralph wrecks the internet, though not as good as the first one, gets what Speilberg at his age can’t. Ready Player One 0/10 from me. Ralf wrecks the internet gets a 6/10 from me. A good bit of counterprogramming for the holiday season. Has thrills, laughs, and the conventional Christmas movie lesson of embracing the true Christmas spirit, with a wicked twist. It could become a cult classic in the years ahead. Whenever I become a grandfather, I want to be called "Pops". But "Krampus" might be OK, too. Not particularly well written and Arnold Schwarzenegger is somehow less believable as a regular family man than when he's playing the mass-murdering hero in his action movies, but despite the movie's many flaws, it's still a Christmas classic in my house. Arnie once again proves that he's pretty good at comedy and gets in some classic one liners (Put that cookie down, NOW!!! ), Jim Belushi cameos as a con man dressed as Santa and Sinbad is funny as the movie's "bad guy with a good heart". But it's Phil Hartman who steals the show here as neighbour Ted, a "very eligible bachelor" with designs on Arnie's wife. Nobody plays the sleazy jerk like Phil Hartman. Despite the movie actually being kind of terrible (in the best possible way) it still gets a 4/5 from me. It's nearly Christmas after all and you know what that means. "It's Turbo Time". It has the best soundtrack of the last 10 years! Yeah, I didn’t know most of the songs but they were pretty cool. I had them all already, most of them is of Gainsbourg's hand. They’re famous Italian songs? French songs? This movie is gem. It’s going to make a ton of money on merchandise alone. This has been the year for animated movies. At least 4 of my favorite films this year have been animated ones and I thought nothing would top Incredibles 2 for me, but Into the Spider-verse is right there if not better. Some people had the impression that computers would be the death of art, but all it has done is give artists more tools to play with. It’s given them a cost effective way to achieve whatever their imaginations can come up with. On every artistic departmet, from art direction, story, direction, voice acting, sound, everything..Spider-verse is an amazing achievement. Kudos to everyone involved on making such a great piece of entertainment. At Eternitys Gate. 4/5 Willem Defoe as Van Gogh. Glad I went despite the criticism. Spider-Man Into the Spider-verse 8.5/10 This movie is gem. It’s going to make a ton of money on merchandise alone. This has been the year for animated movies. At least 4 of my favorite films this year have been animated ones and I thought nothing would top Incredibles 2 for me, but Into the Spider-verse is right there if not better. Some people had the impression that computers would be the death of art, but all it has done is give artists more tools to play with. It’s given them a cost effective way to achieve whatever their imaginations can come up with. On every artistic departmet, from art direction, story, direction, voice acting, sound, everything..Spider-verse is an amazing achievement. Kudos to everyone involved on making such a great piece of entertainment. i am stupidly excited for this movie. i never go to see major films opening weekends (prefer the sparsely attended weekday matinee), but i am going to be there opening night for this one. what will people say (2018) 3.5/5 a teen girl tries to have a normal norwegian life while straining against the religious rigidity of her pakistani family. very well done dramatization of a ripped from the headlines culture clash. 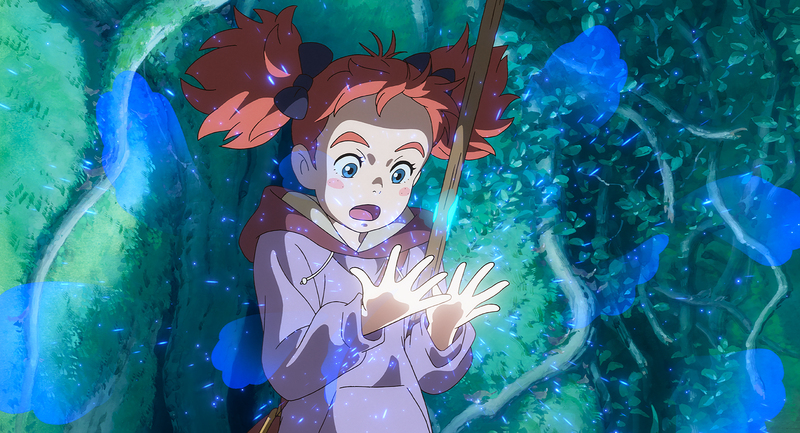 mary & the witch's flower (2018) 3.5/5 always nice to look at, & filled with little miyazaki touches. maybe just a little too frenetically paced & lightweight to achieve any lasting impact, but it's good enough, & if nothing else i'm very happy that we still get this classic animation style. You’ll have a wide smile on your face all the way through. ...And yes there is an after credits scene that is worth staying for. The Favourite 3.8/5 Thought it would be a comedy but it's not, still humorous. Didn't like or understand the ending, now I've got to go look things up. I’ve been meaning to see this. I’ll check it out tomorrow. Bohemian Rhapsody - Rare for me to find something to take the whole family to, but I grew up a huge Queen fans and I wanted to hear the performance in a theatre. I wasn't expecting much in the drama department but a wonderful performance by Rami Malek made up for a so-so script and the dullness of the other band members. The Wembly performance was wonderful. My 13 year olders and spouse liked it too. Overall - 3.5 stars out of 5. Concert scenes - 4.5 out of 5. Non-concert scnes - 2.5 out of 5.
and every orger should have seen the first 10 minutes at least! I've gotten a kick out that movie. Never saw the first one, can't wait for it to come around again. I went into the the Disney version with low expectations and thinking it was blasphemy to mess with the original. But I was blown away and am a huge fan of that movie. That’s why I’m so excited for the new Lion King. The 2 movies sort of parallel each other in basic storyline as in all the characters are there except for the orangutan king doesn't exist in this one. Kaa is all wise. No singing, not so cutesy. But in this one Mowgli has to go live with humans that's where the storylines are very different and has a darker ending. .